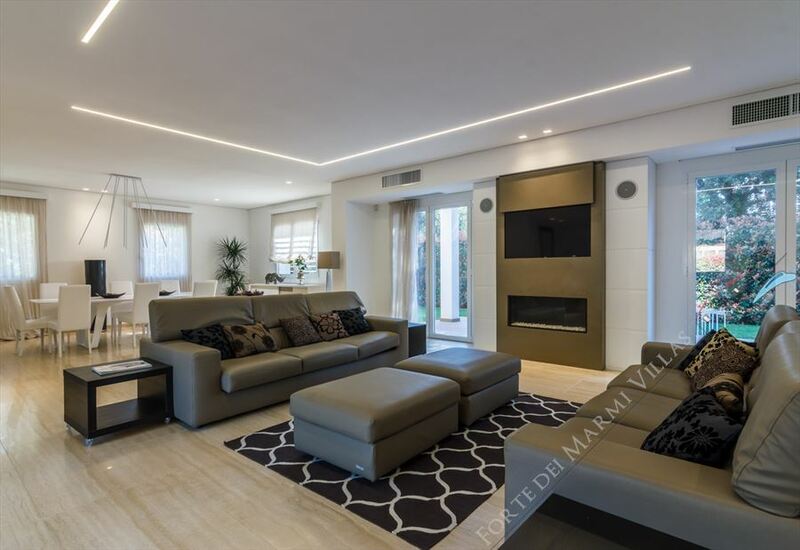 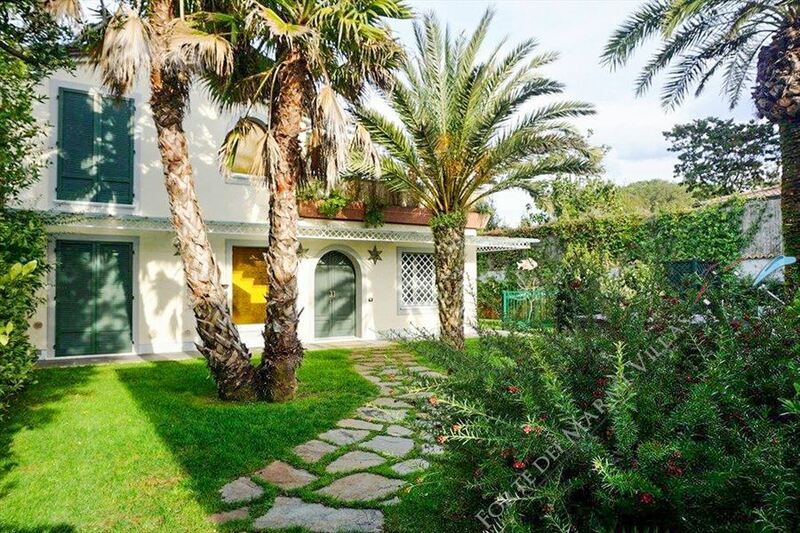 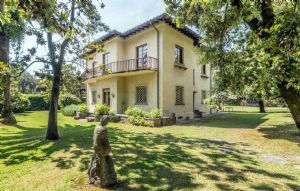 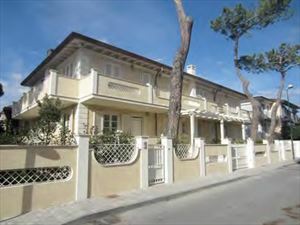 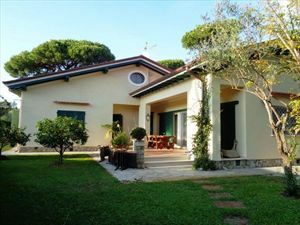 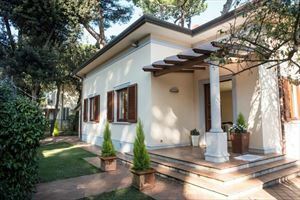 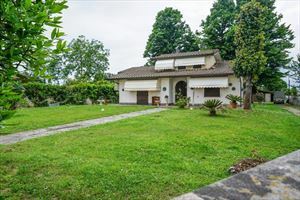 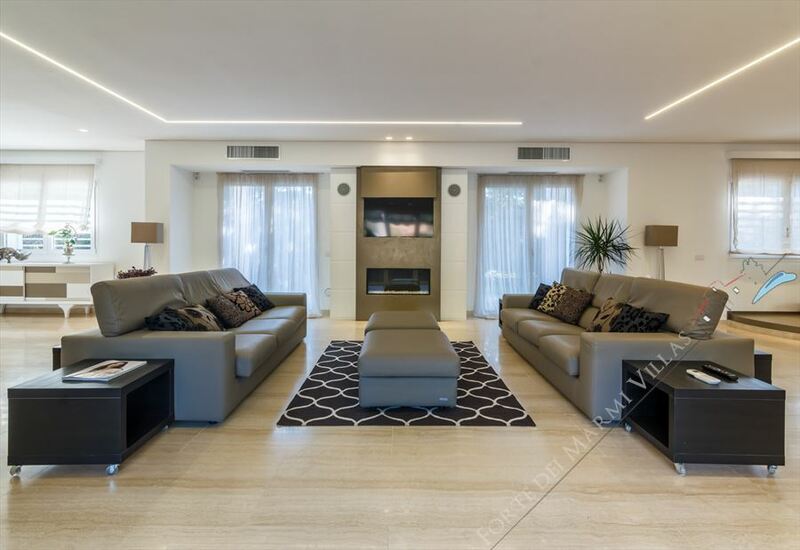 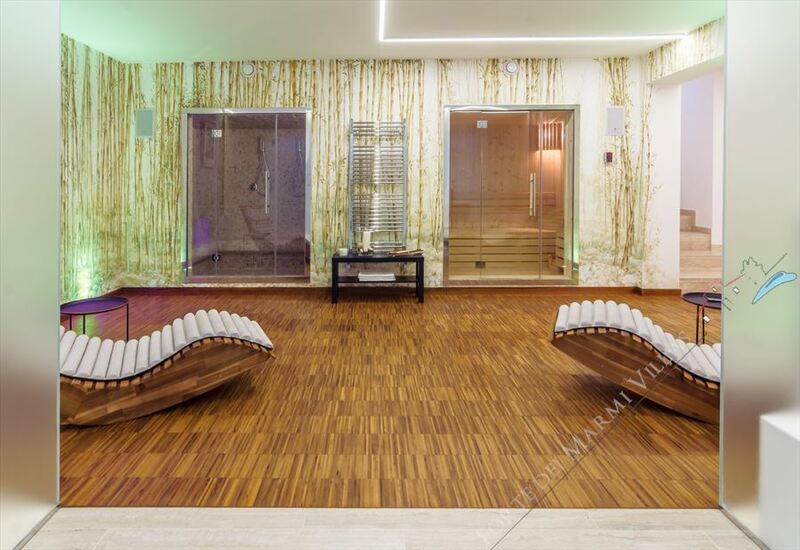 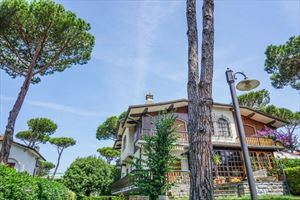 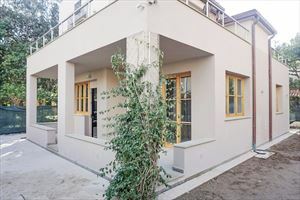 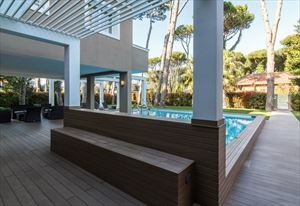 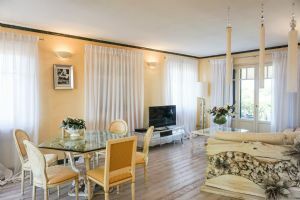 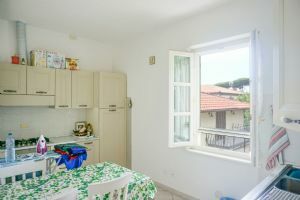 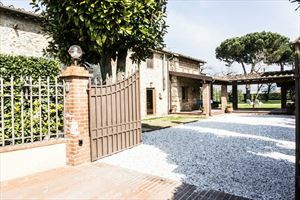 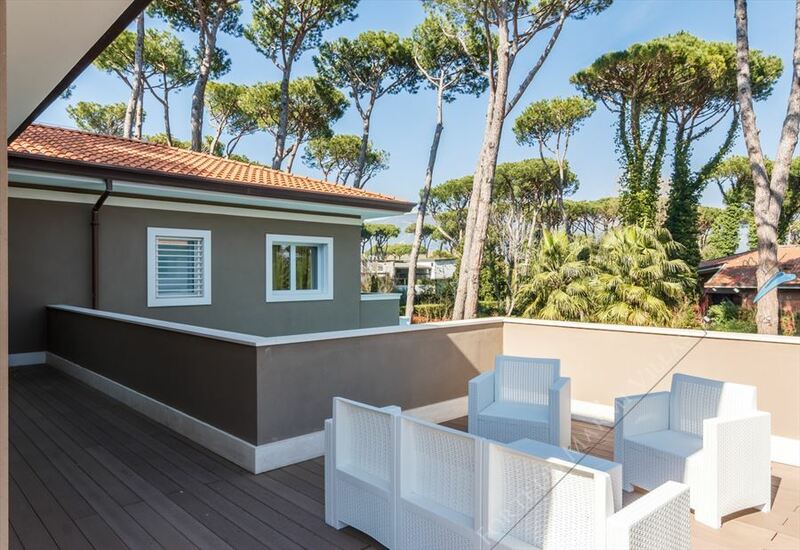 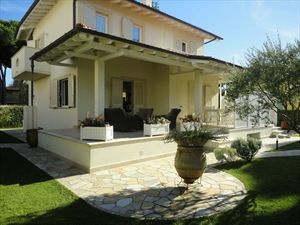 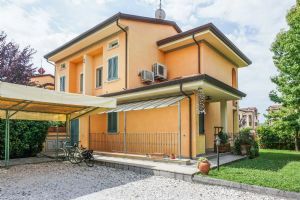 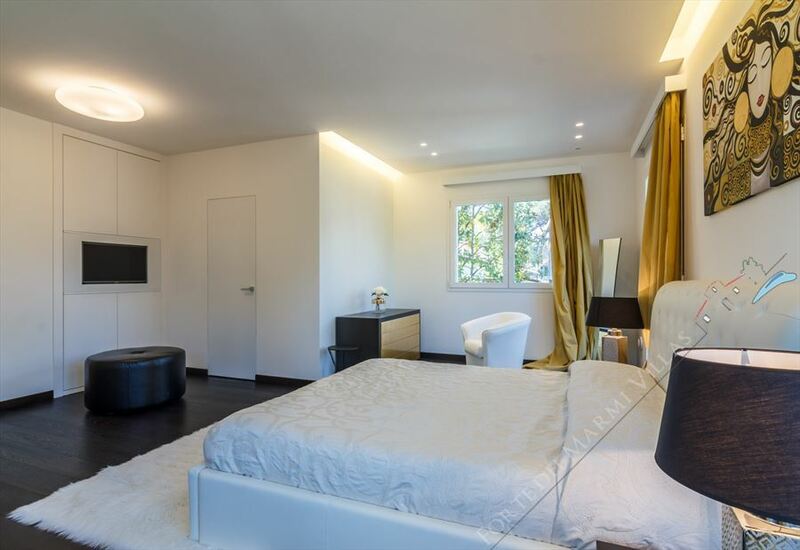 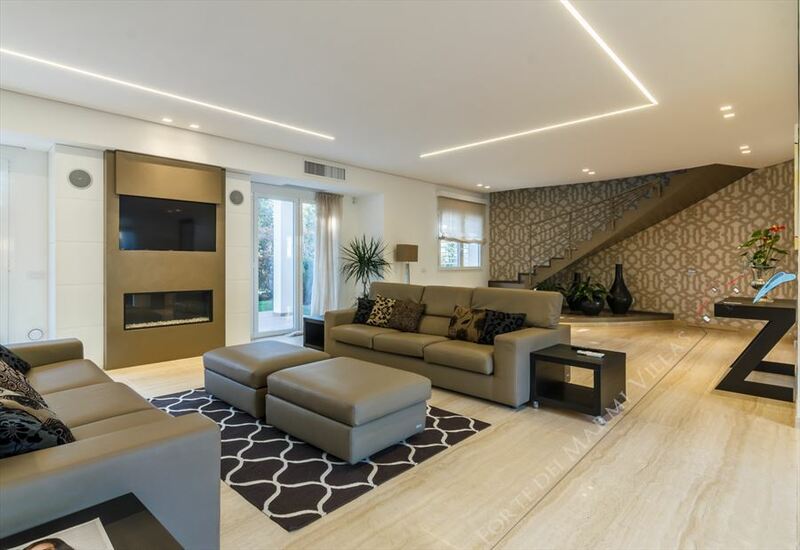 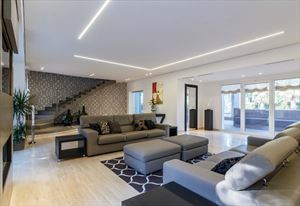 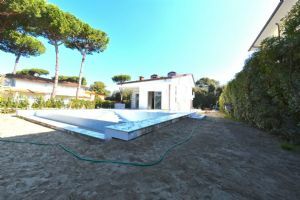 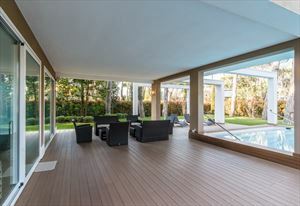 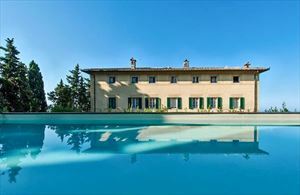 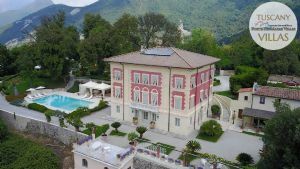 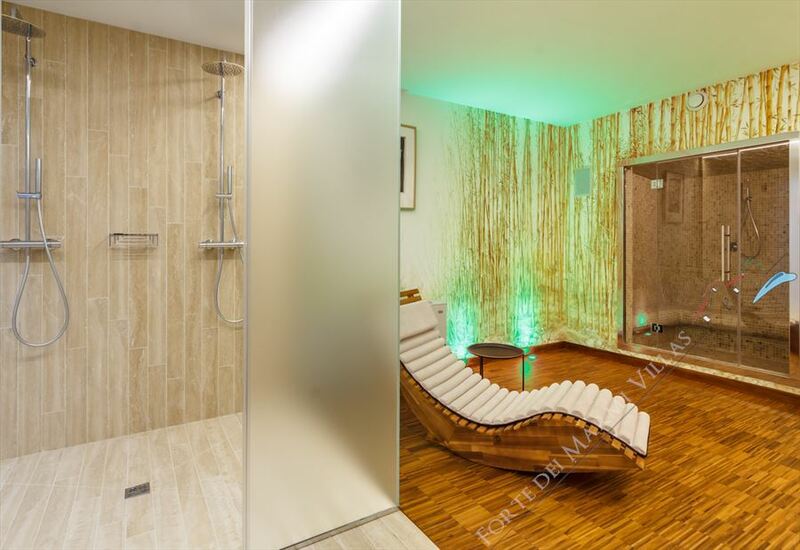 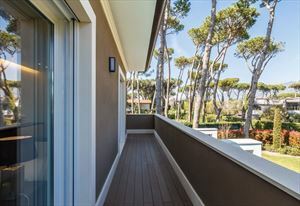 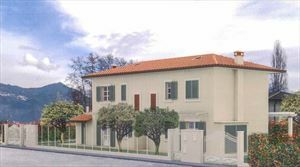 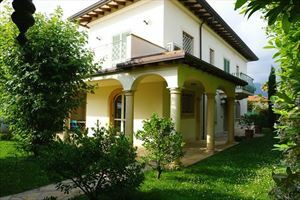 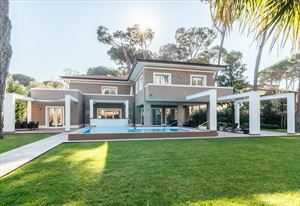 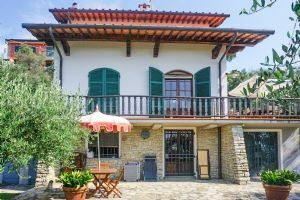 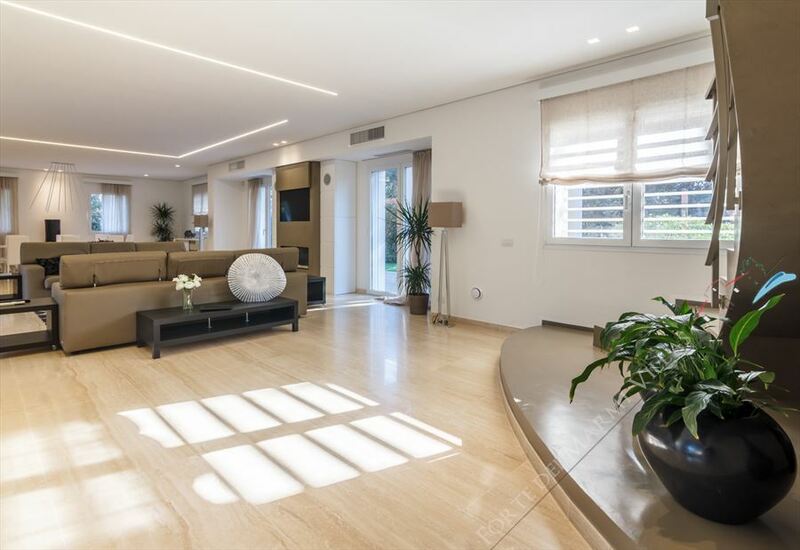 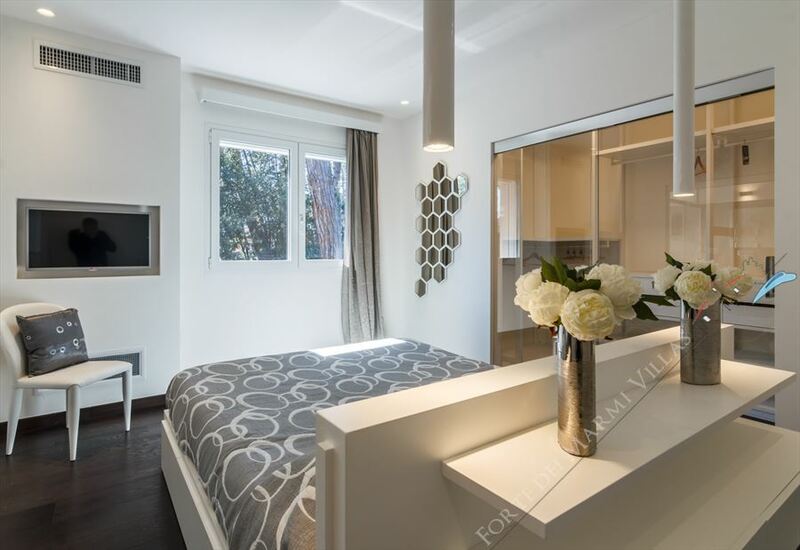 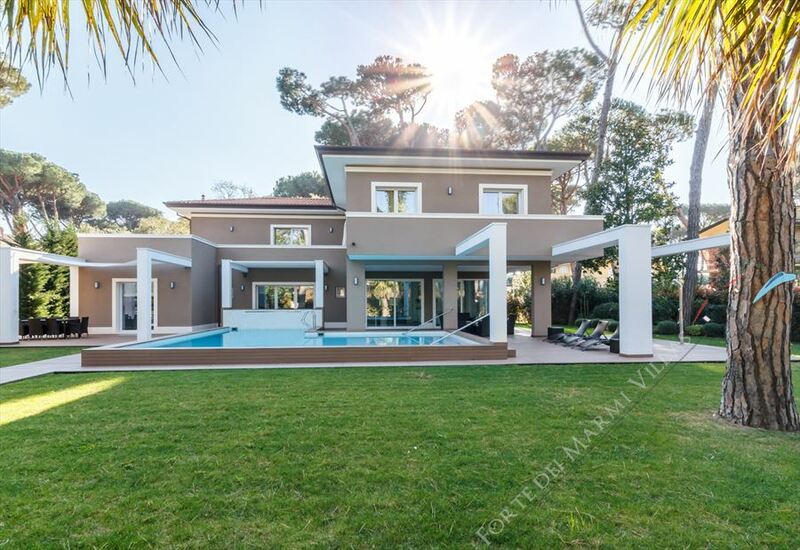 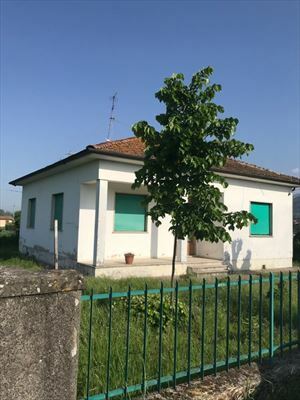 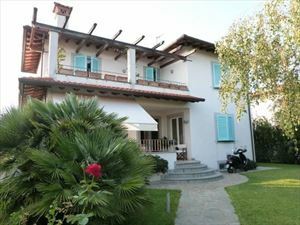 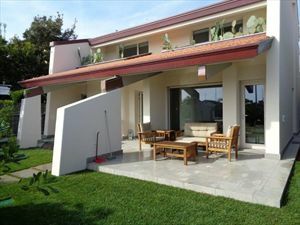 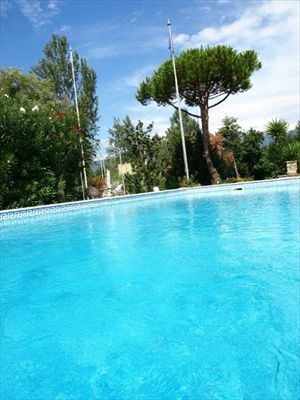 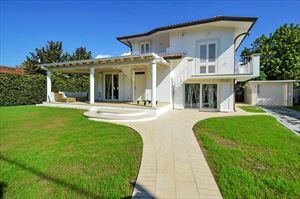 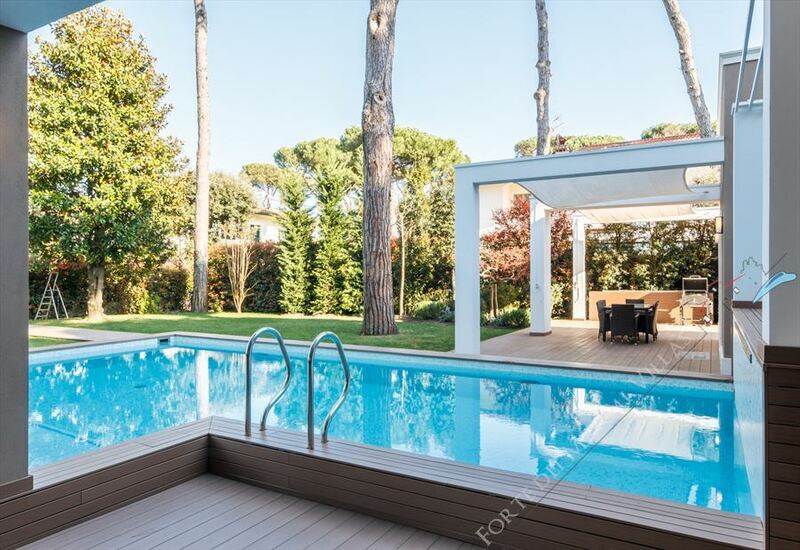 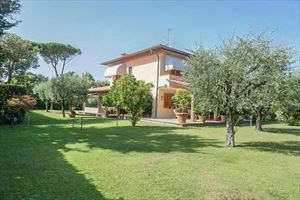 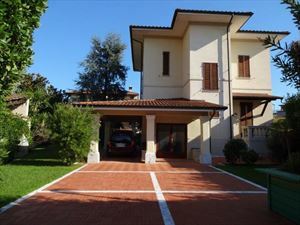 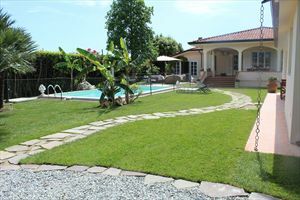 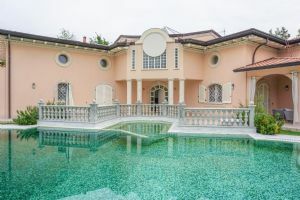 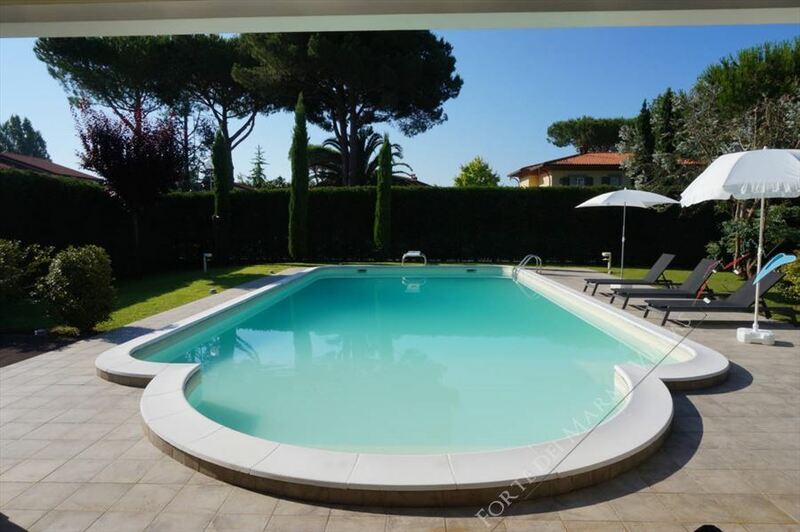 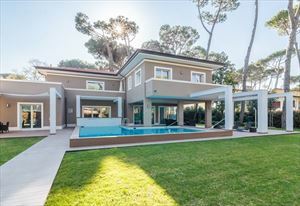 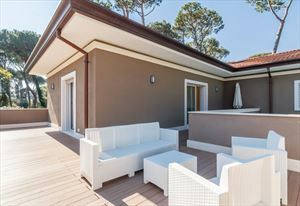 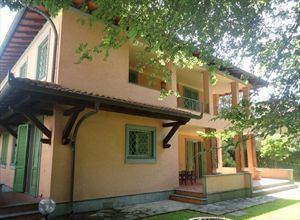 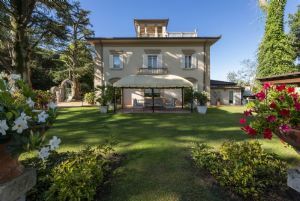 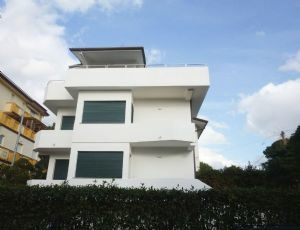 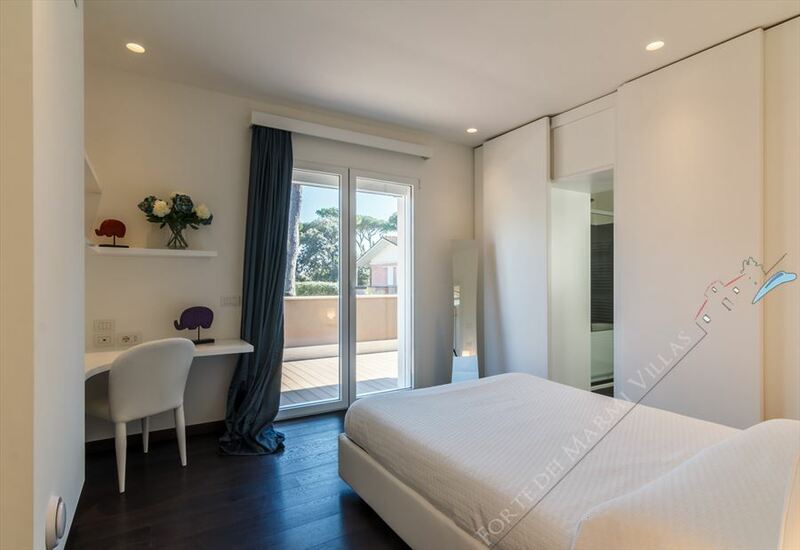 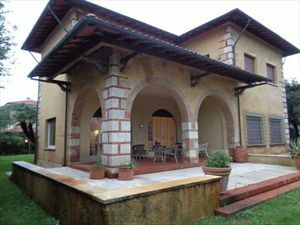 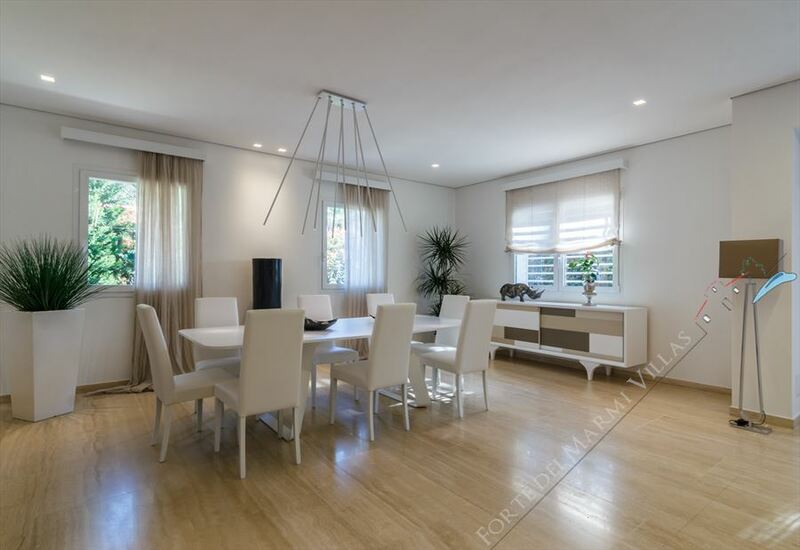 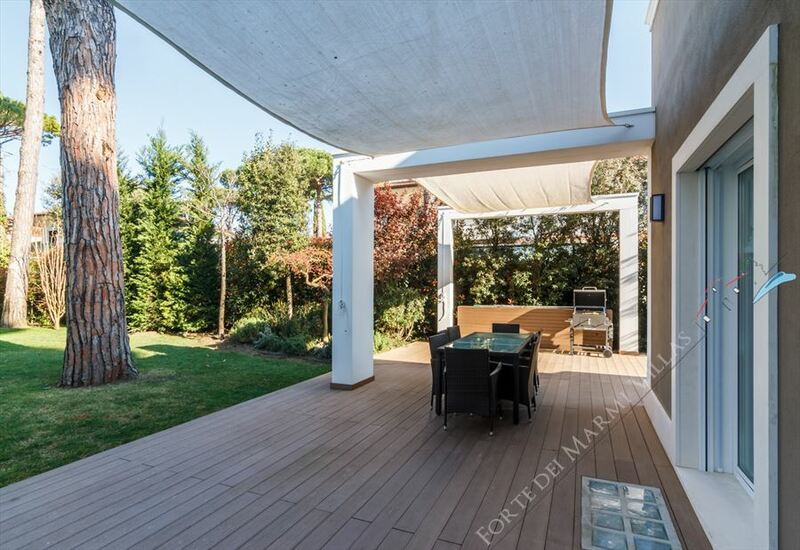 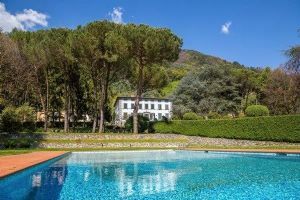 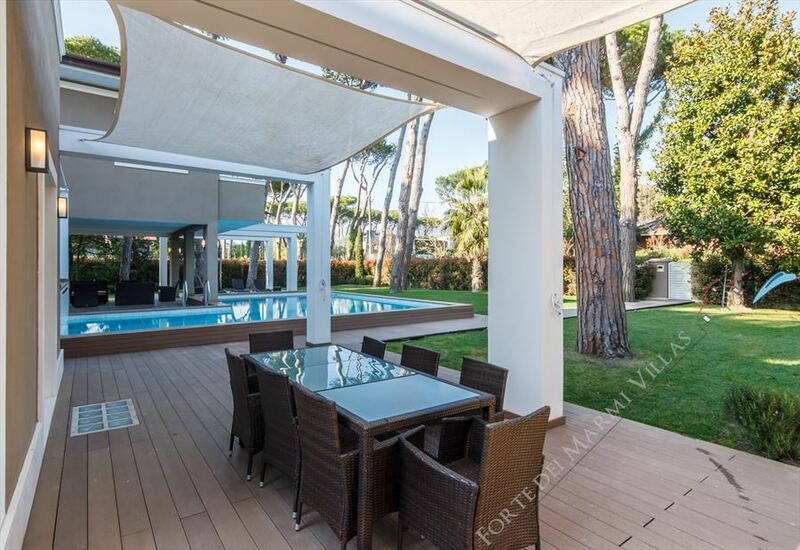 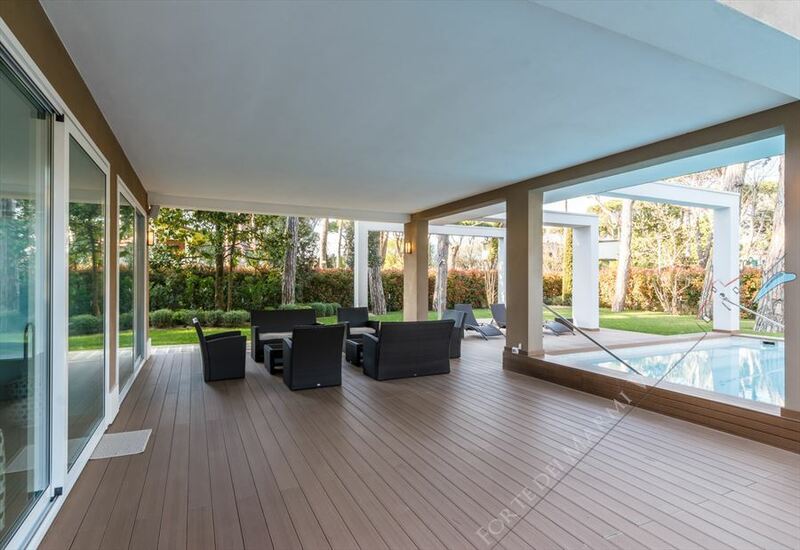 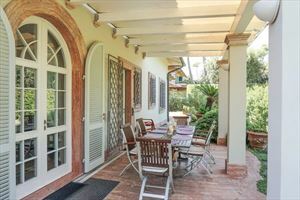 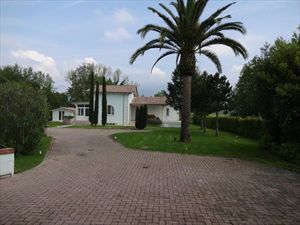 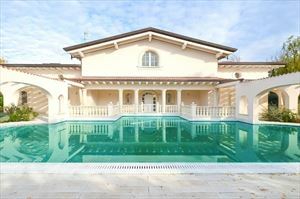 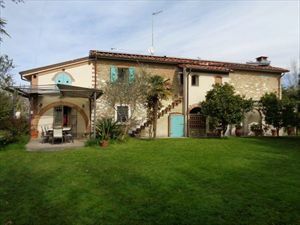 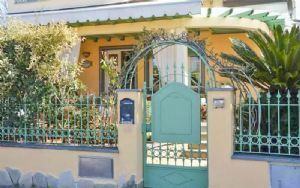 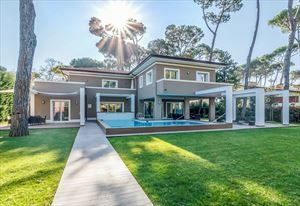 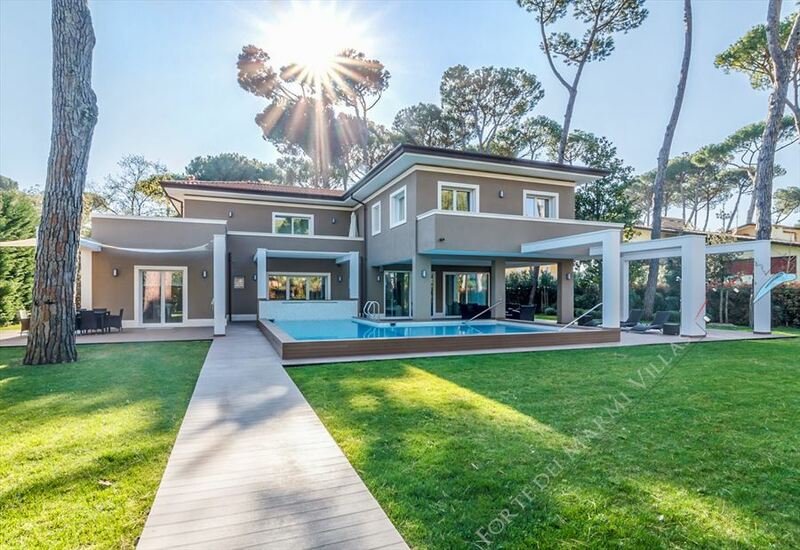 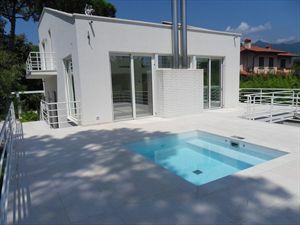 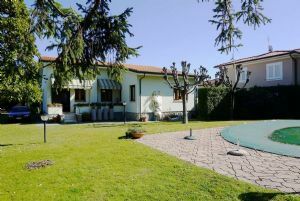 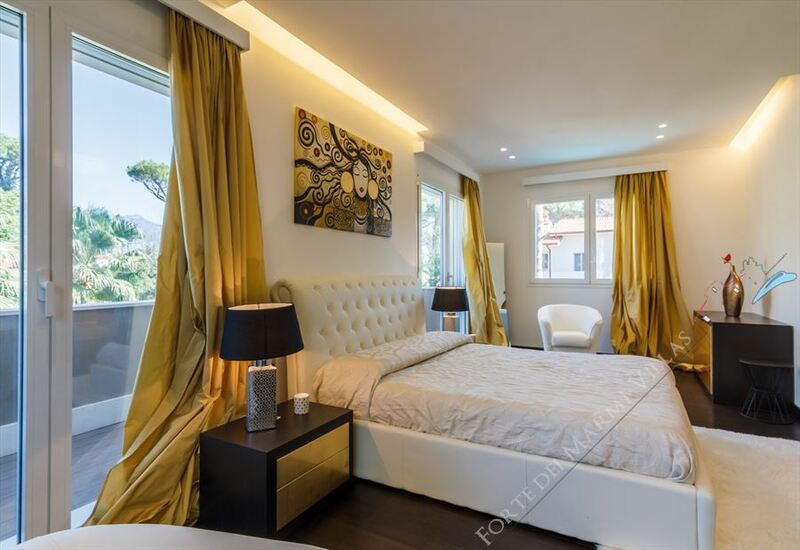 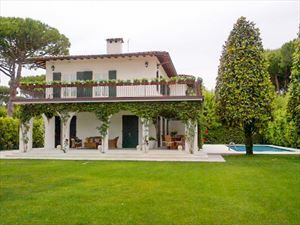 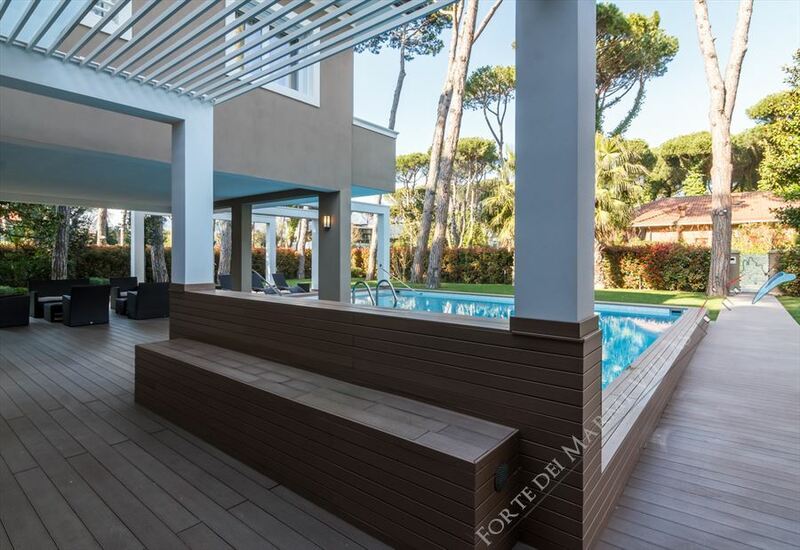 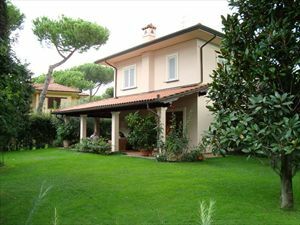 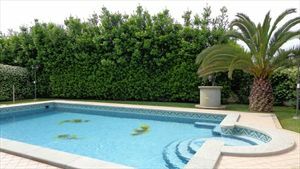 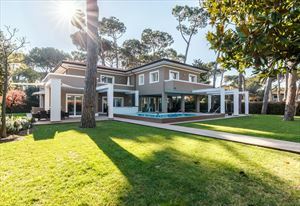 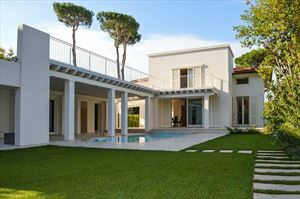 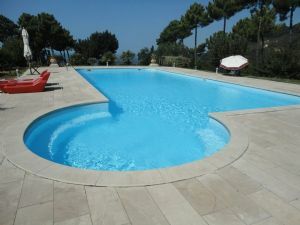 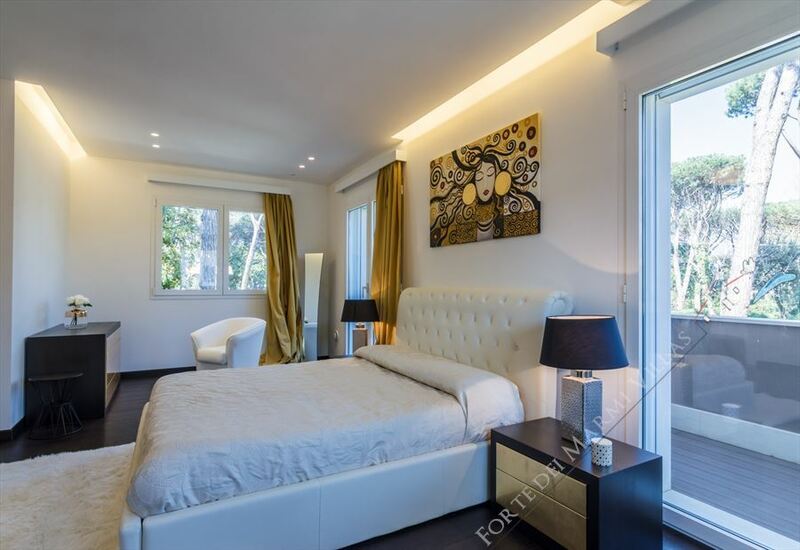 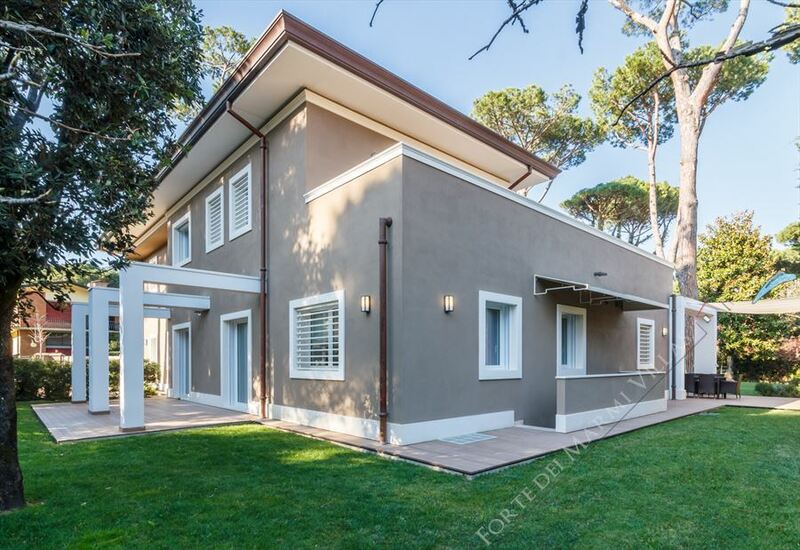 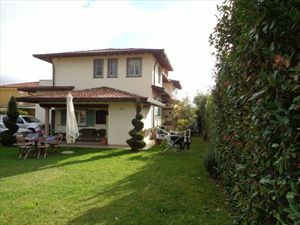 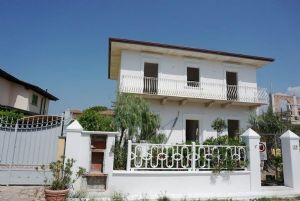 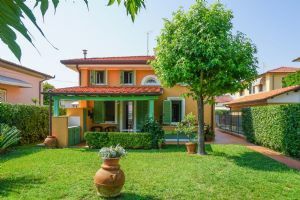 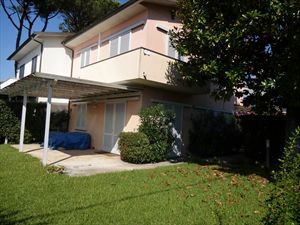 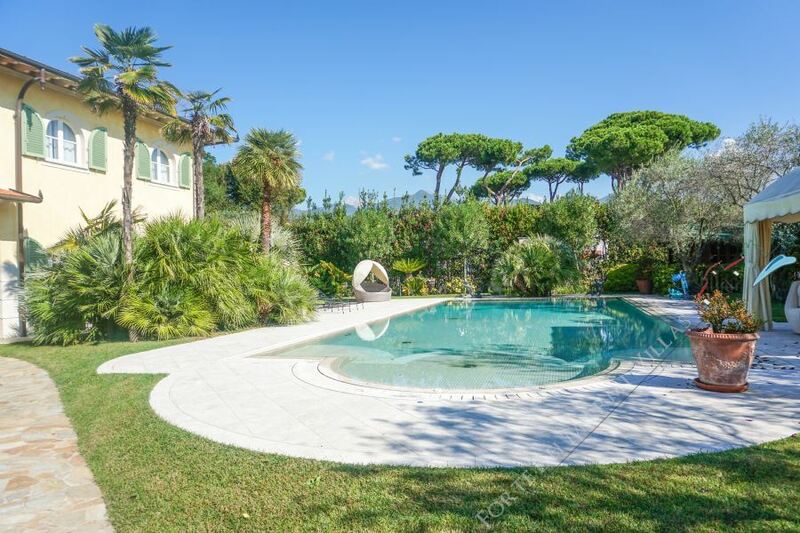 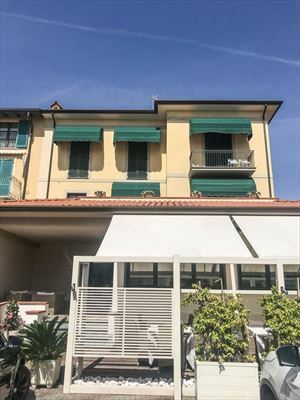 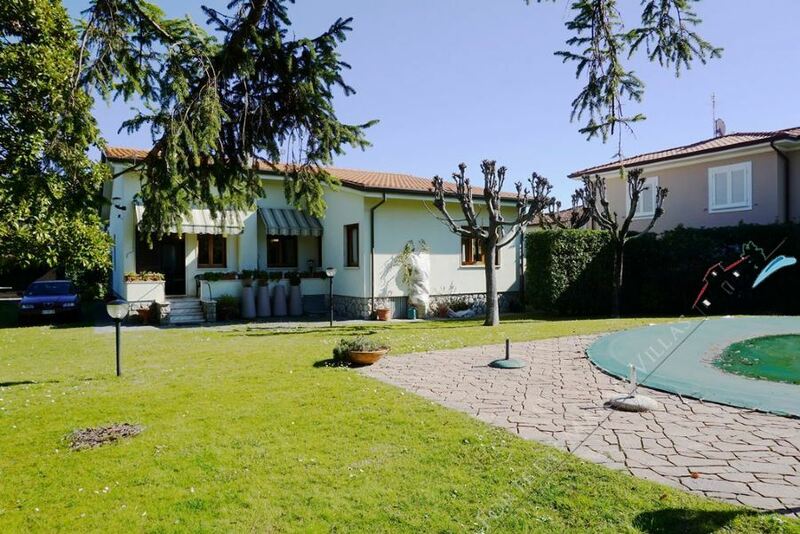 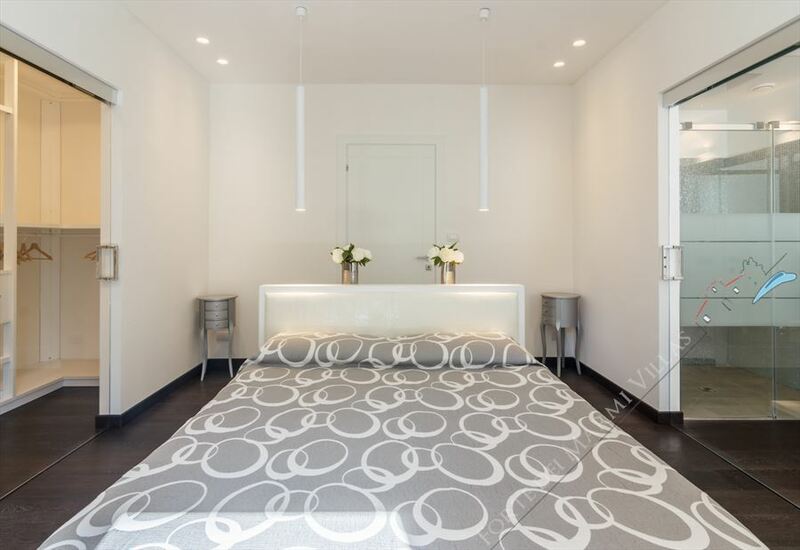 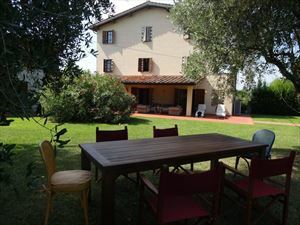 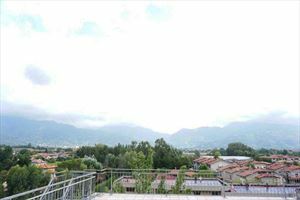 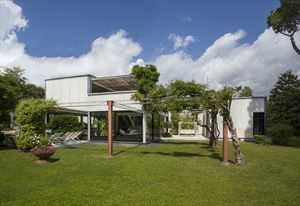 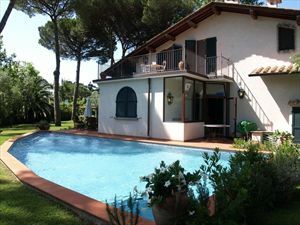 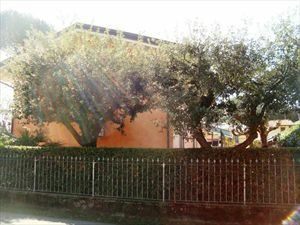 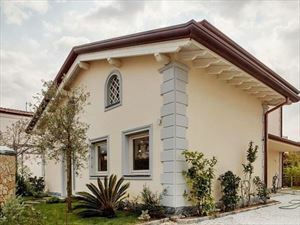 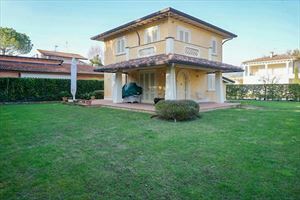 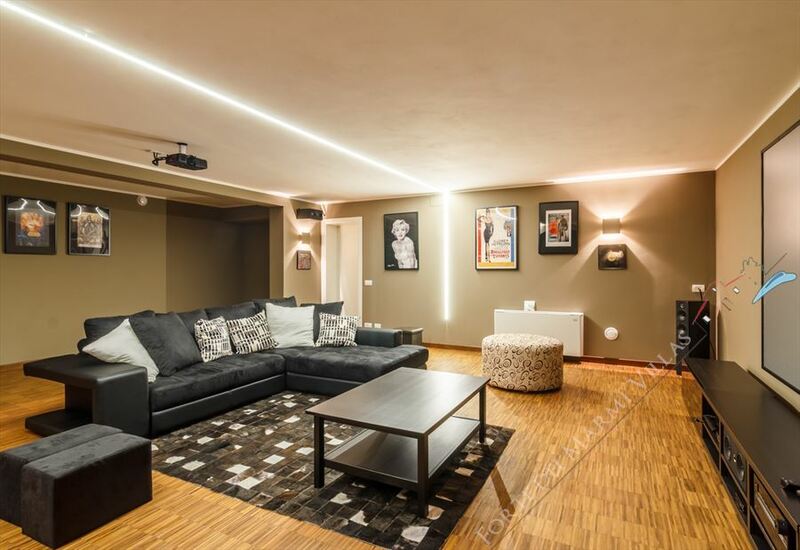 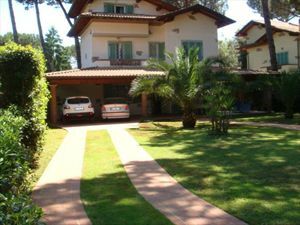 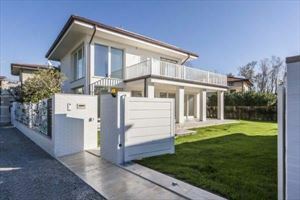 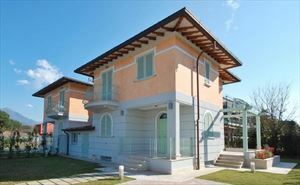 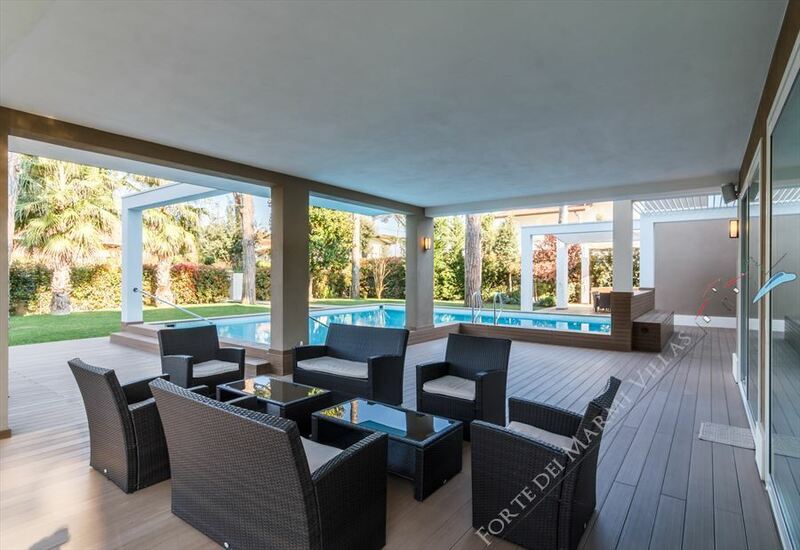 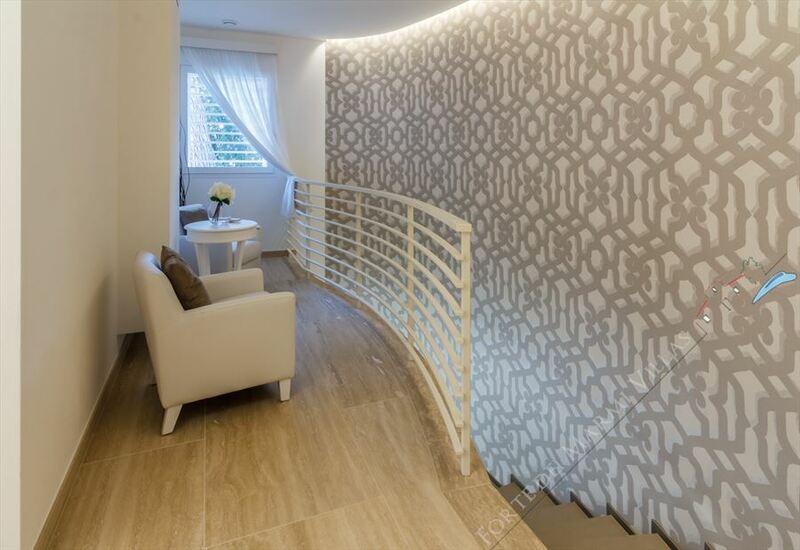 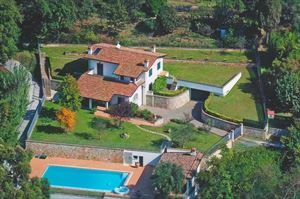 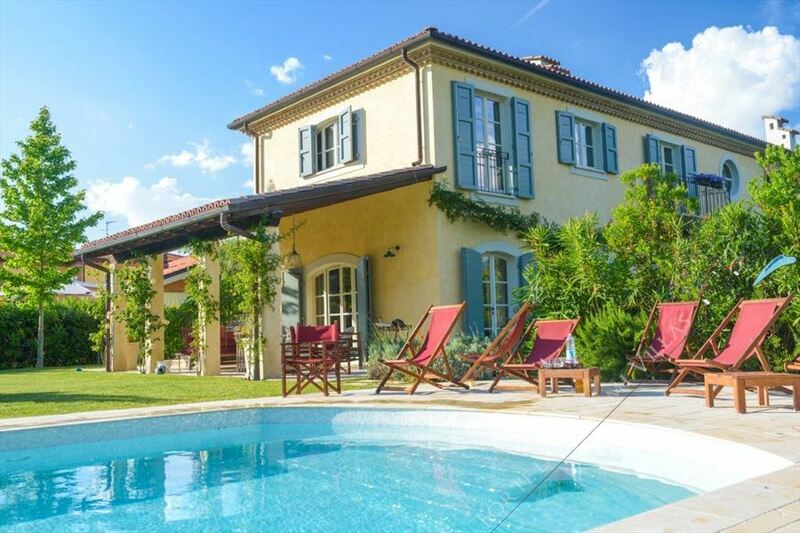 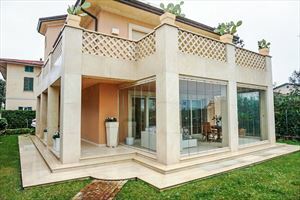 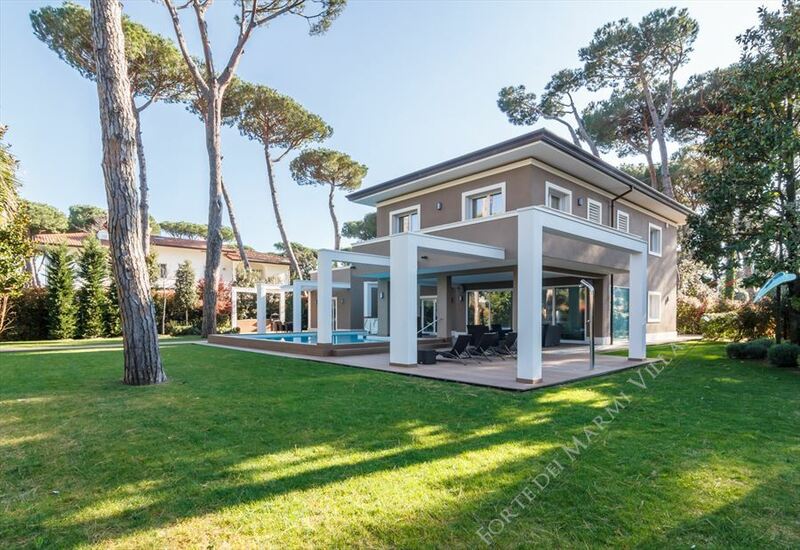 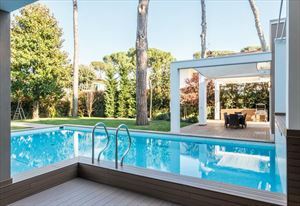 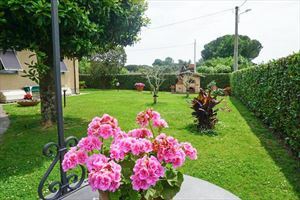 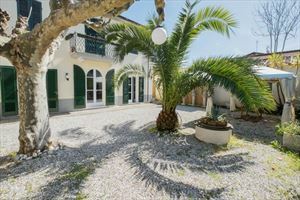 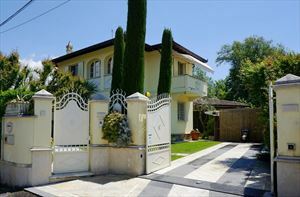 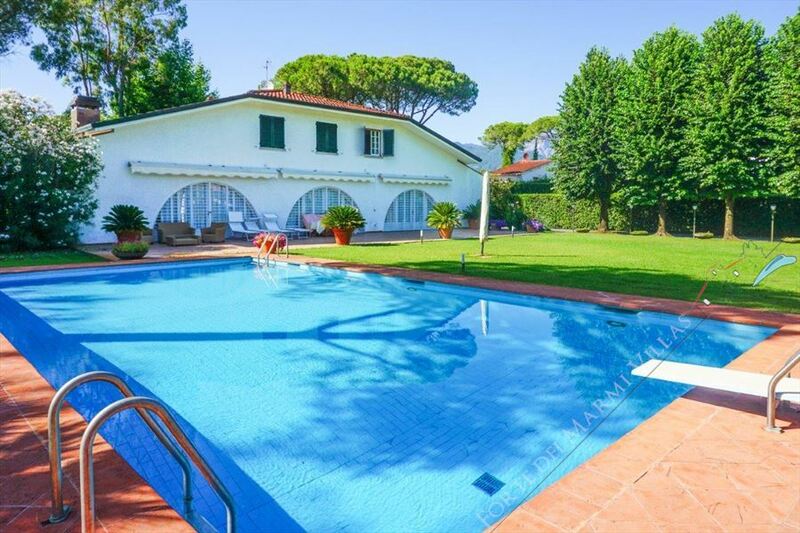 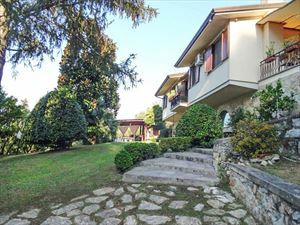 A modern detached villa with a large swimming pool (about 100 m²) and a splendid garden (1540 m²), located in the prestigious area of Forte dei Marmi "Roma Imperiale", just 400 meters from the sea. 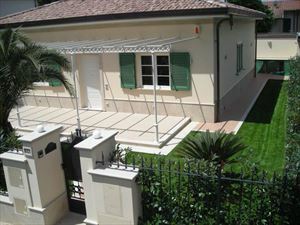 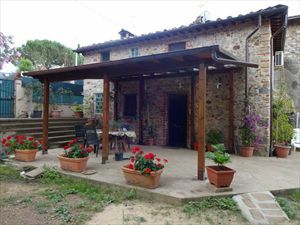 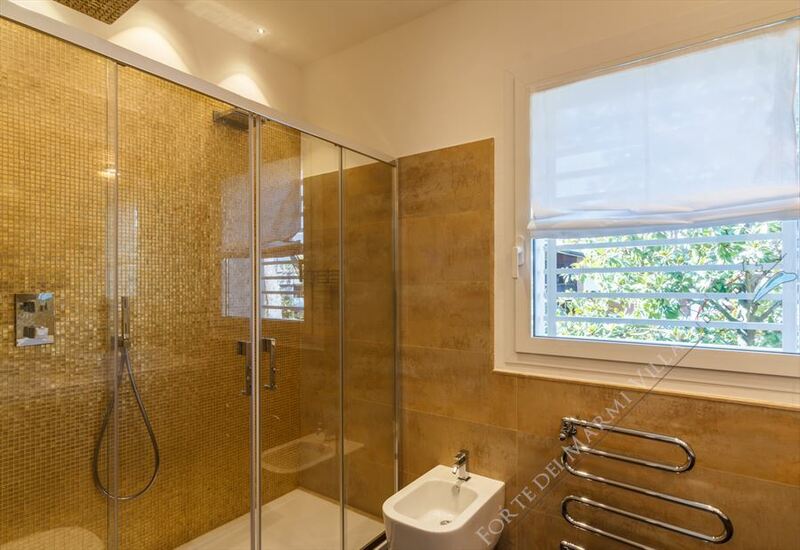 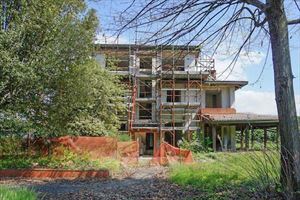 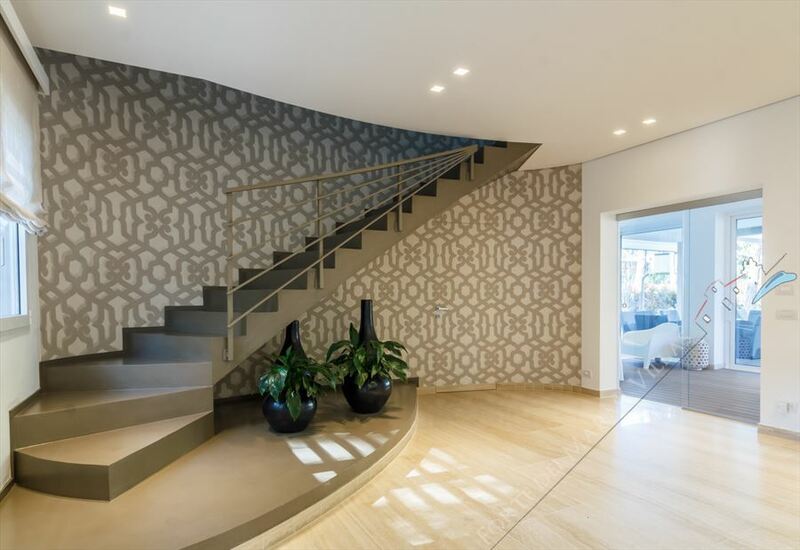 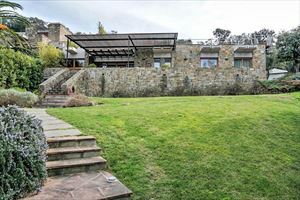 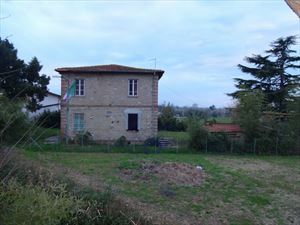 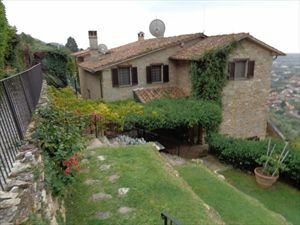 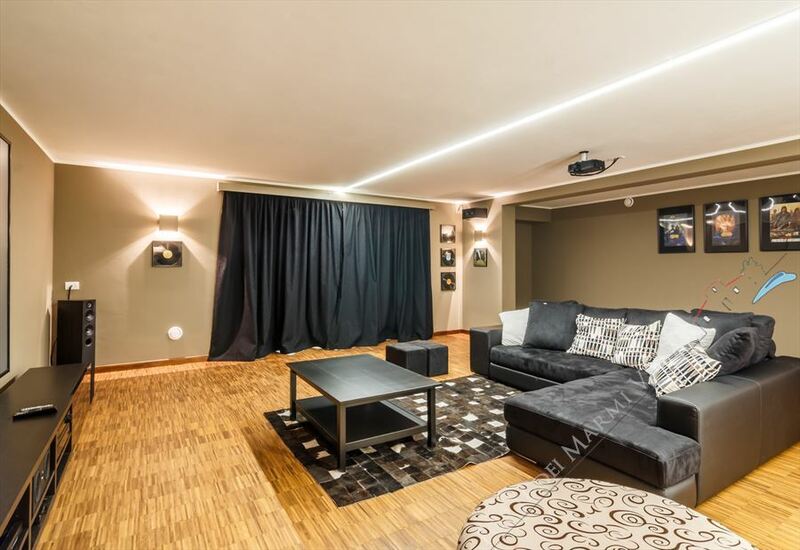 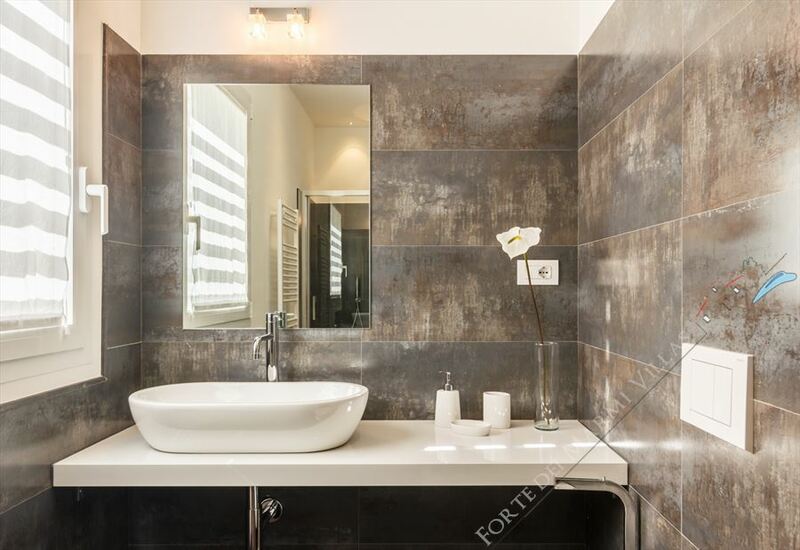 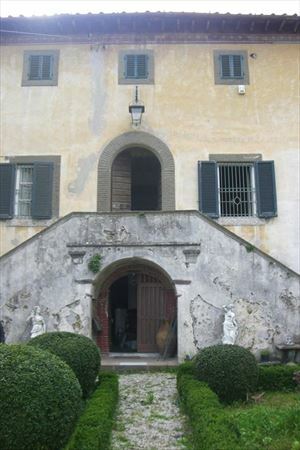 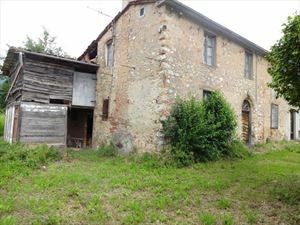 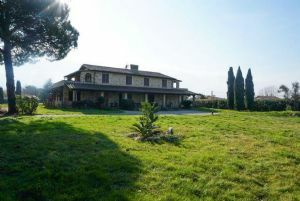 The total area of the house is 375 m², plus the the basement floor, which is 225m². 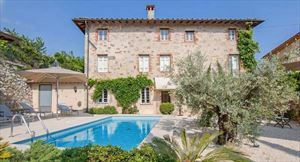 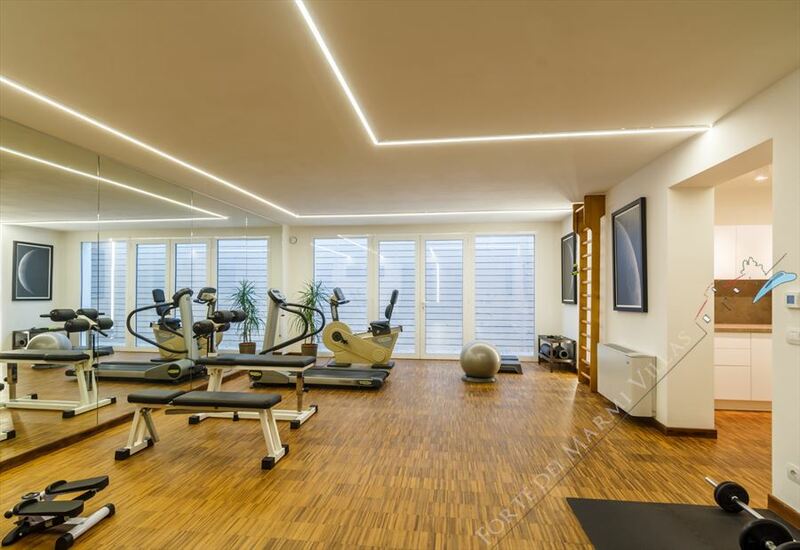 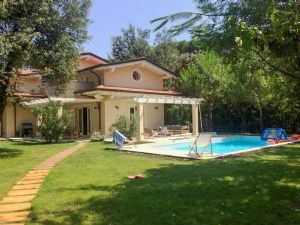 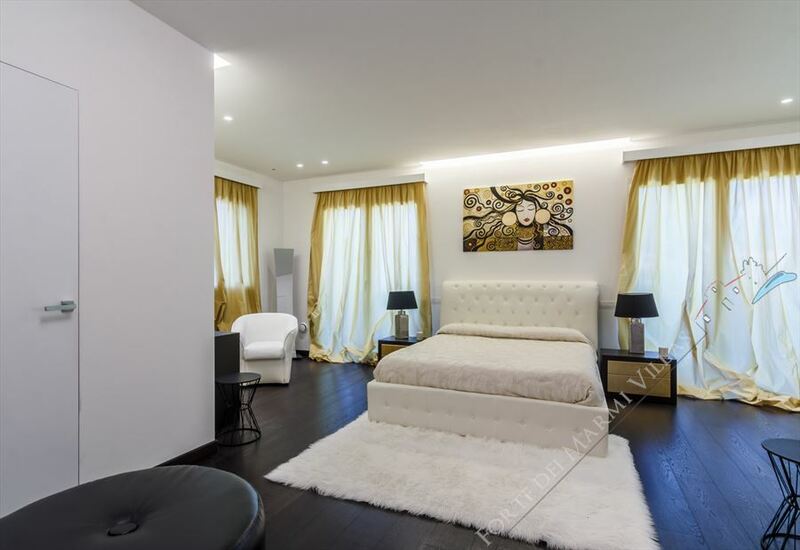 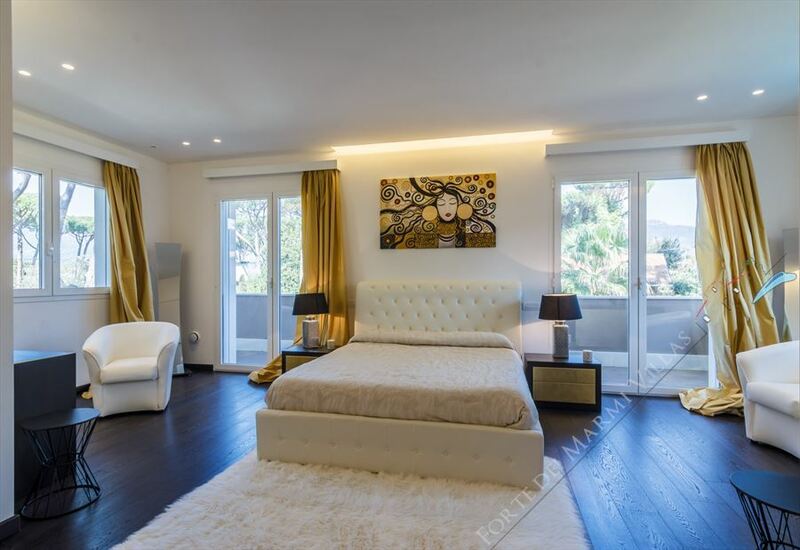 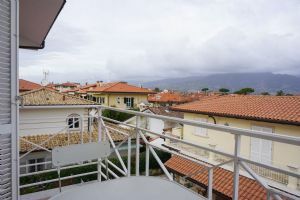 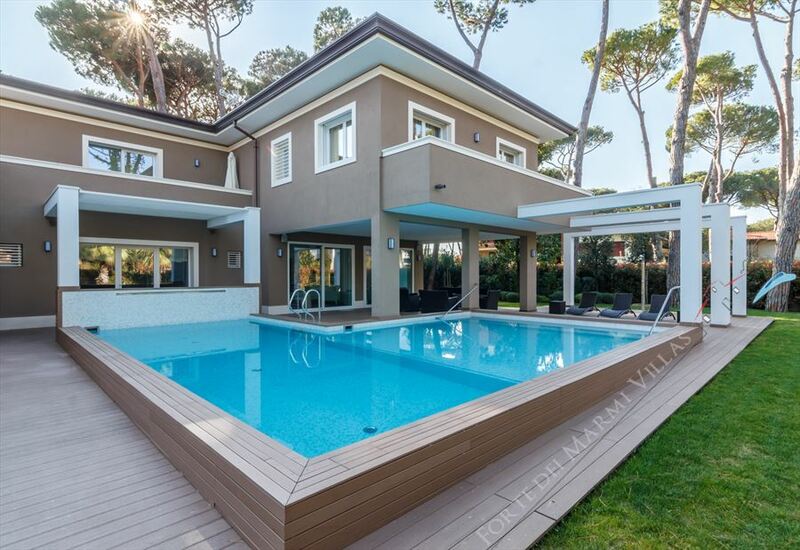 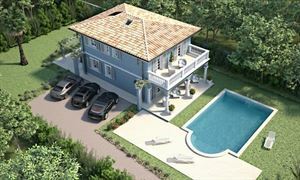 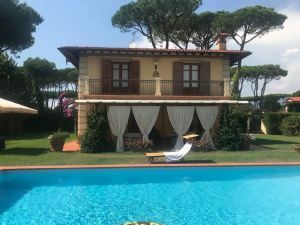 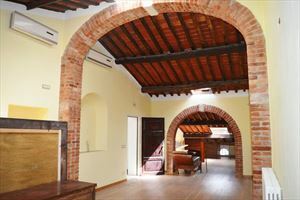 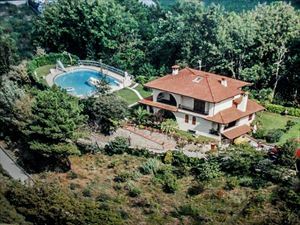 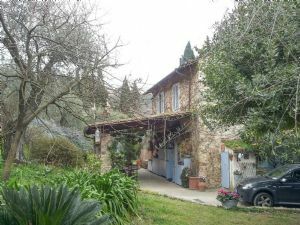 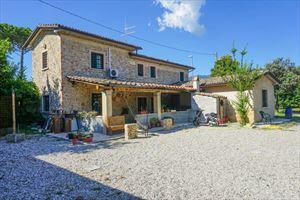 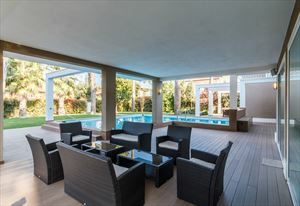 The villa features 6 bedrooms, 8 bathrooms, kitchen, a spacious living room, dining room, and a spa zone with a Turkish bath, sauna, gym and TV room. 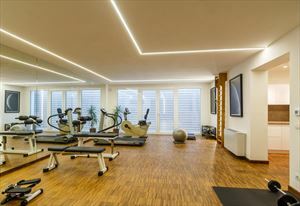 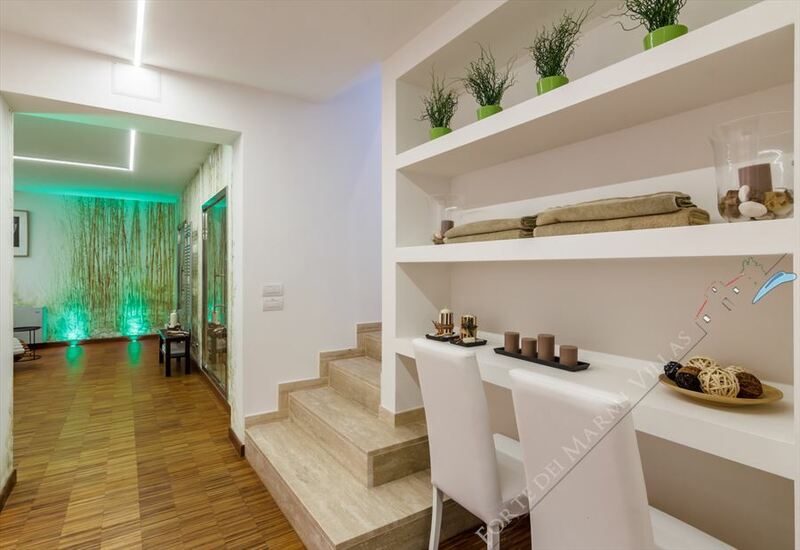 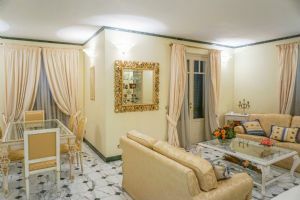 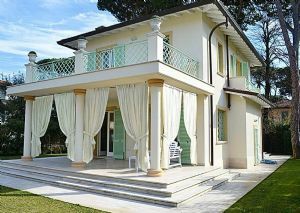 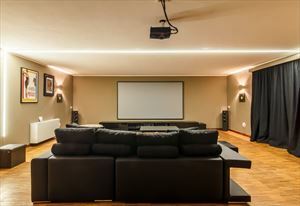 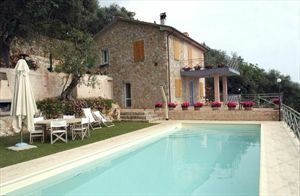 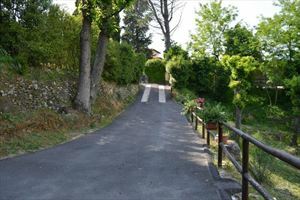 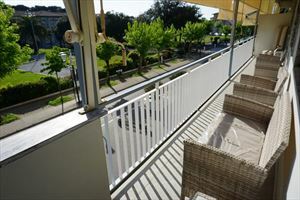 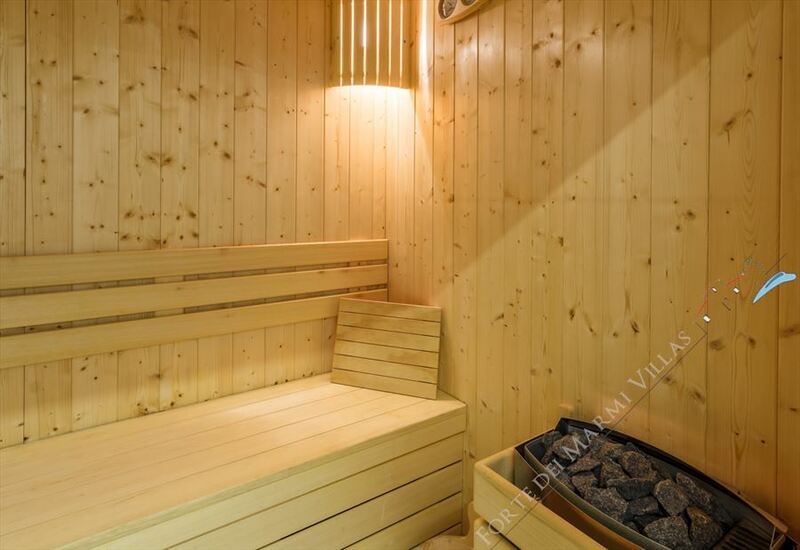 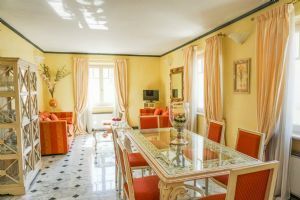 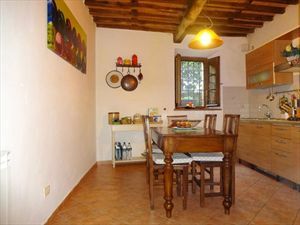 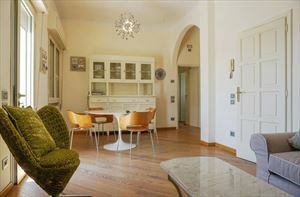 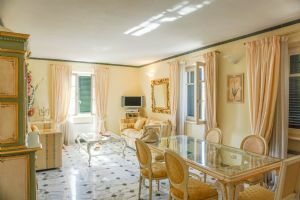 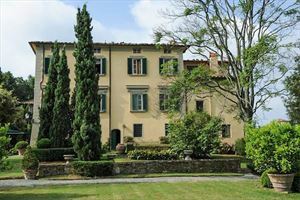 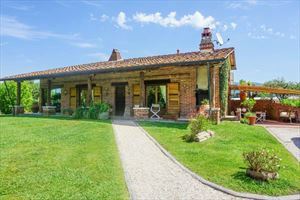 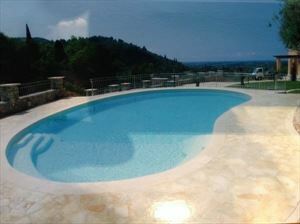 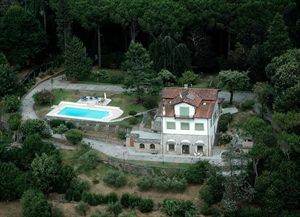 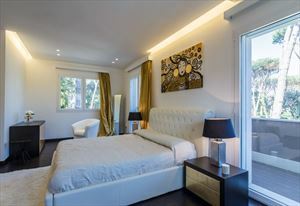 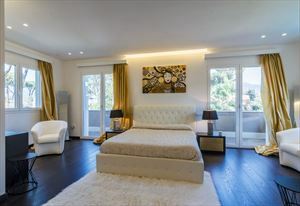 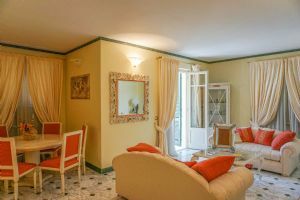 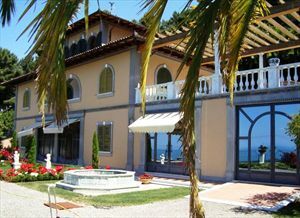 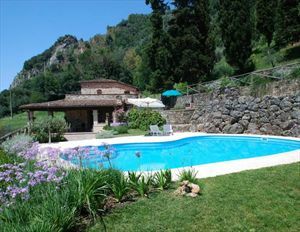 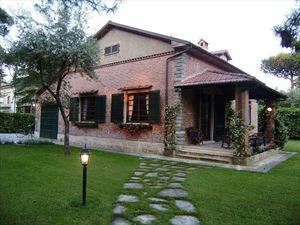 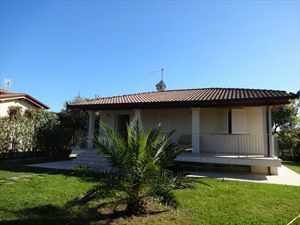 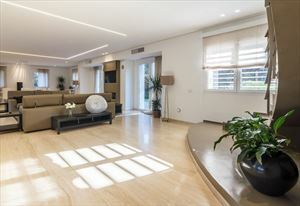 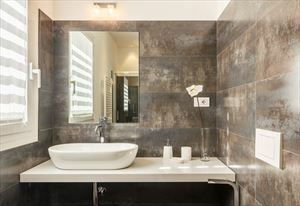 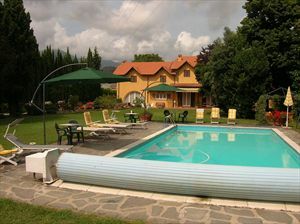 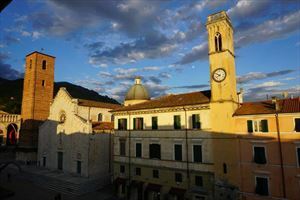 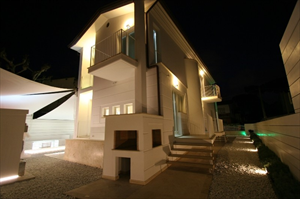 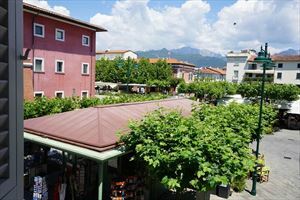 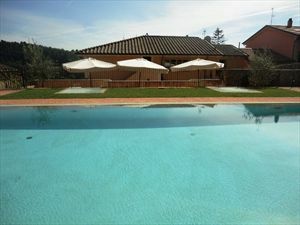 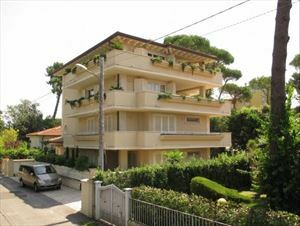 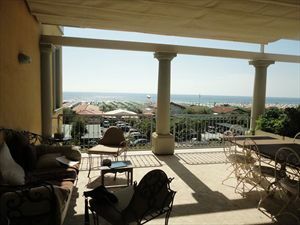 The villa is equipped with the latest technology, finished and furnished with the highest standard.